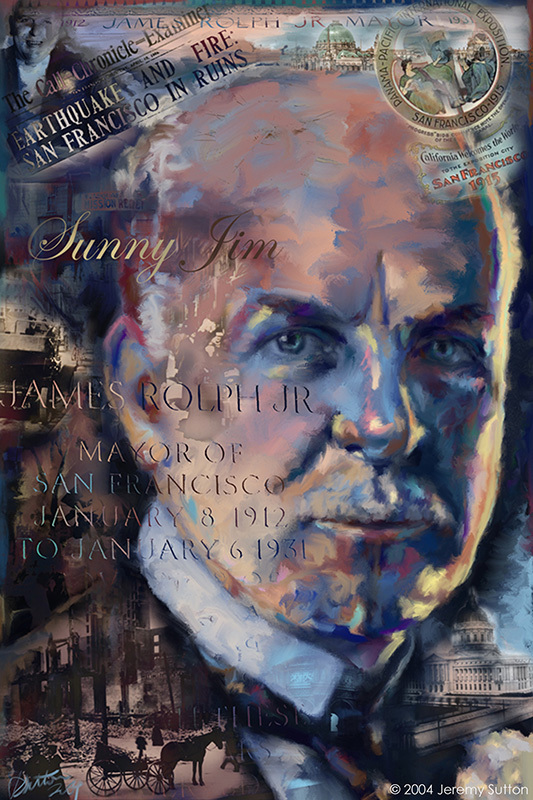 This painting is a historical portrait, part of my Legendary San Francisco Mayors series. It commemorates the life of one of the longest serving mayors of San Francisco who oversaw the recovery of San Francisco following the great earthquake and fire of 1906. He was instrumental in San Francisco hosting the 1915 Panama-Pacific International Exposition (PPIE), a world’s fair that celebrated the opening of the Panama Canal and the city’s post-earthquake reconstruction. The centennial of this exhibition is currently being celebrated at the de Young Museum with their exhibition Jewel City: Art from San Francisco’s Panama-Pacific International Exposition. 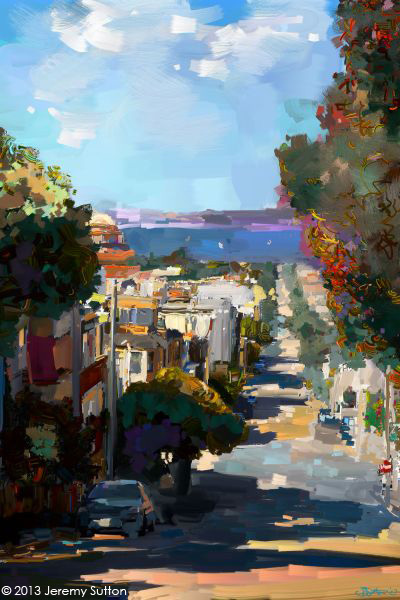 This painting depicts the magnificent view looking down on the San Francisco Bay from Divisadero Street at the top of Pacific Heights on the final day of the America’s Cup. 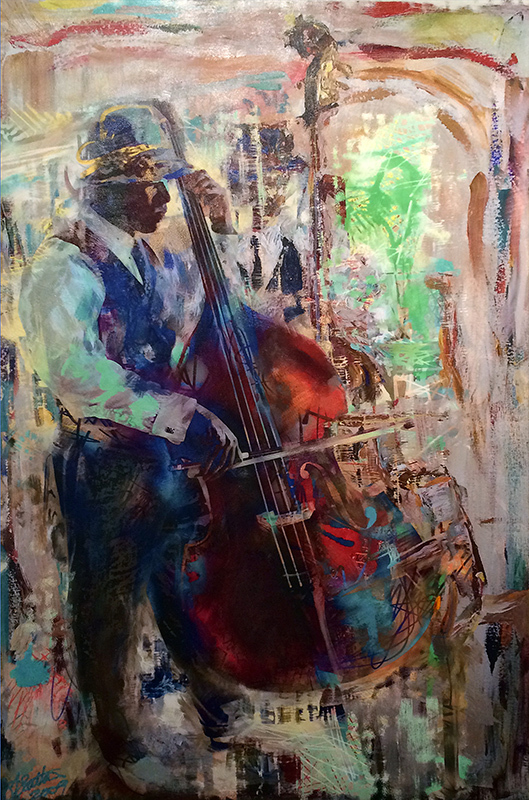 This portrait of bandleader, composer, arranger, bassist, educator, and activist, Marcus Anthony Shelby, is based on working from life in my studio while Marcus practiced. 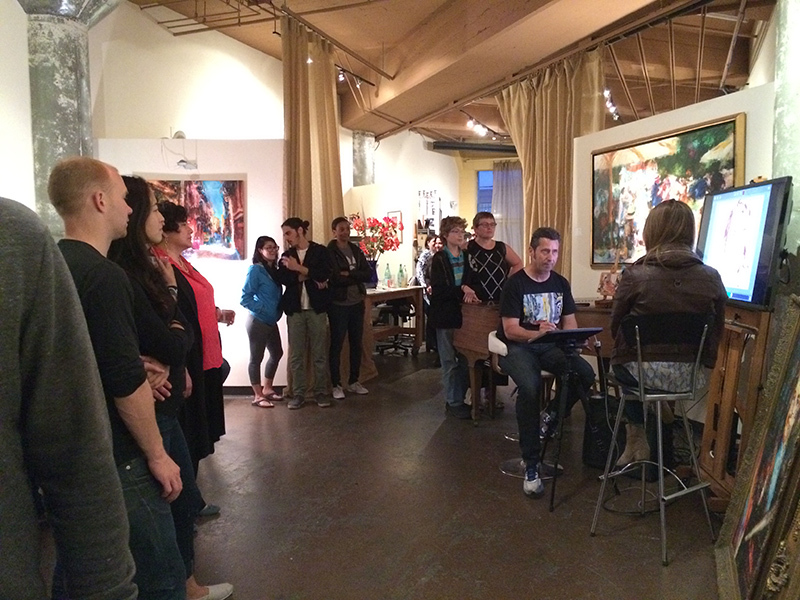 This painting is stretched (gallery wrap) without frame. 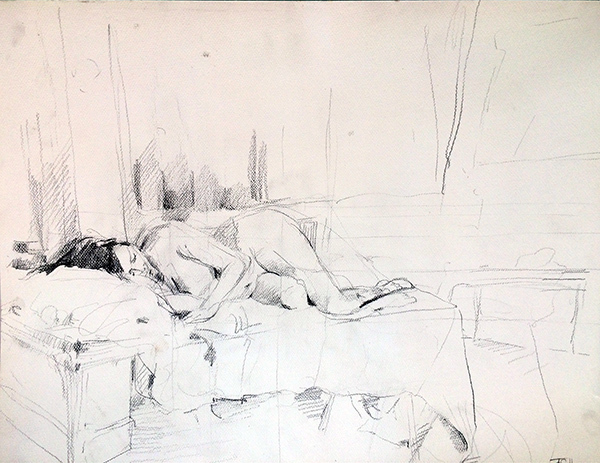 This drawing was created during a recent life drawing session at Alexandra Palace in North London. It is unframed. 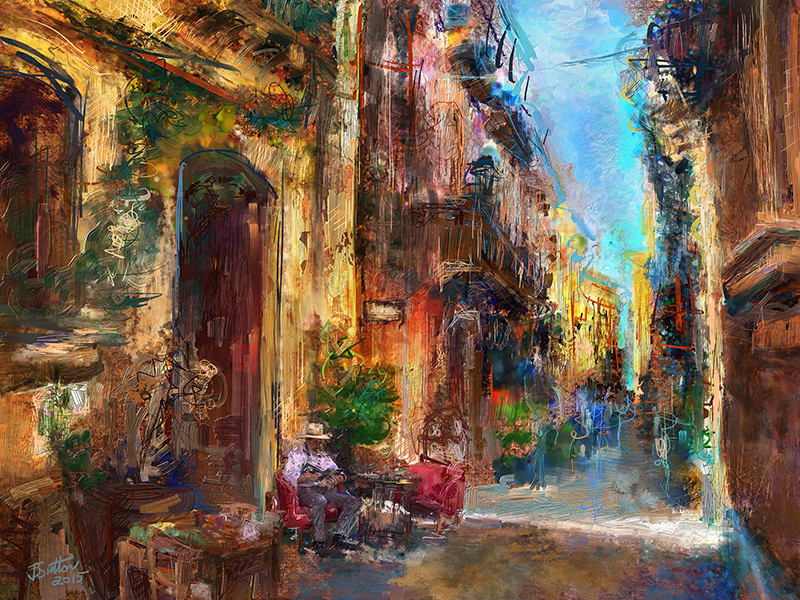 This painting depicts a scene I saw in one of the beautiful picturesque alleys of the ancient city of Ortigia, Siracusa, Sicily. 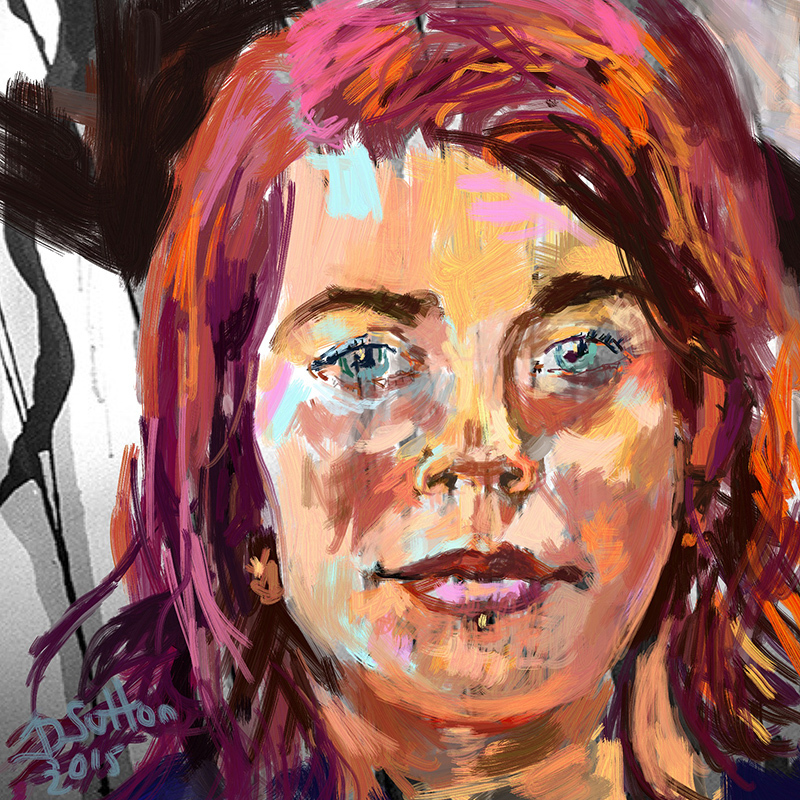 It was created as part of a teaching demonstration for my Painter 2016 In-Depth Photo-Paint Workflow video tutorial (for PaintboxTV members). The inspiration of Sicily has led me to organize an iPad sketching workshop there: Sketch Sicily 2016. 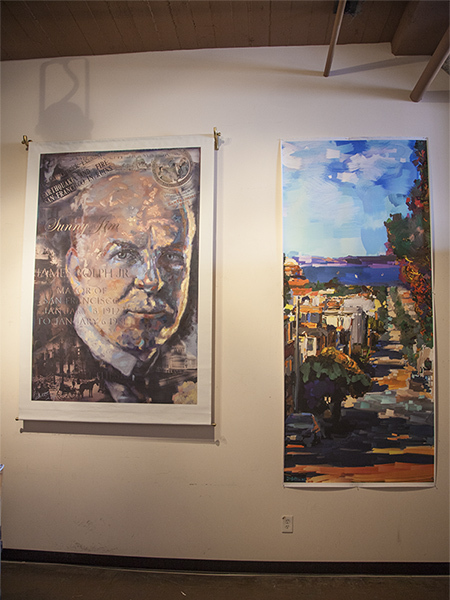 This artwork includes a beautiful museum-frame frame. 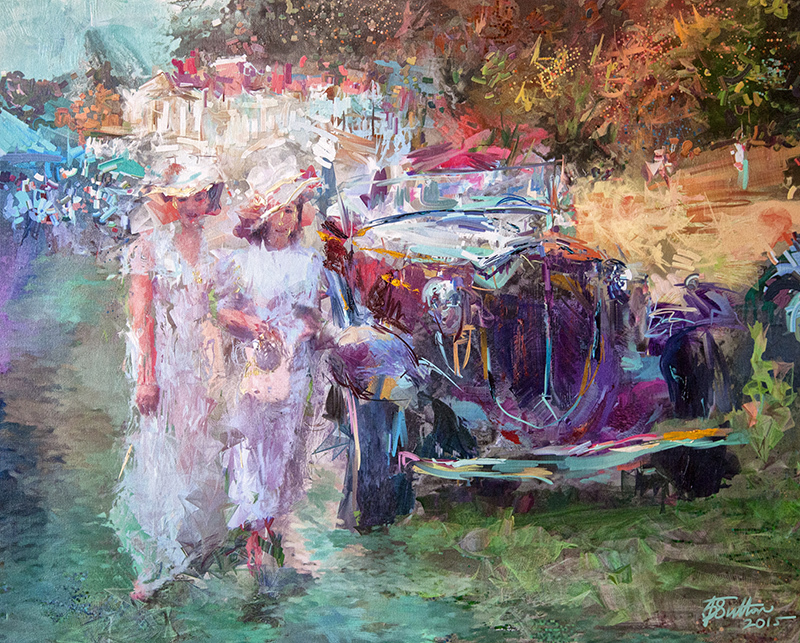 This painting depicts a scene I saw at the Gatsby Summer Afternoon event in Dunsmuir Historical Estate, Oakland, where I brought students as part of the Great Gatsby Impressionist Workshop. 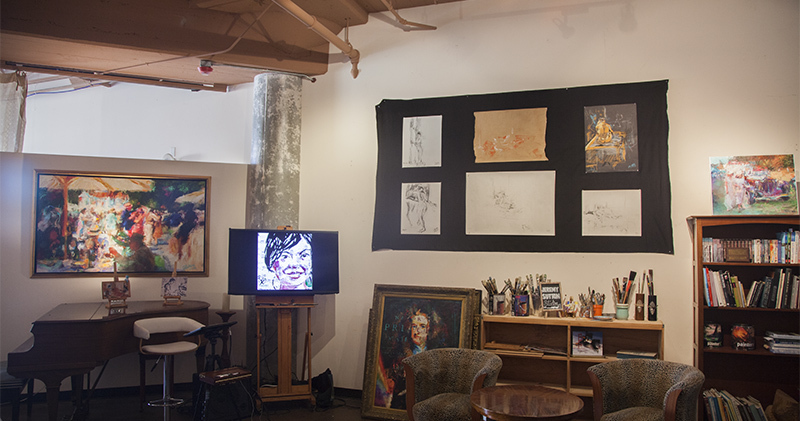 It was created as part of a teaching demonstration. 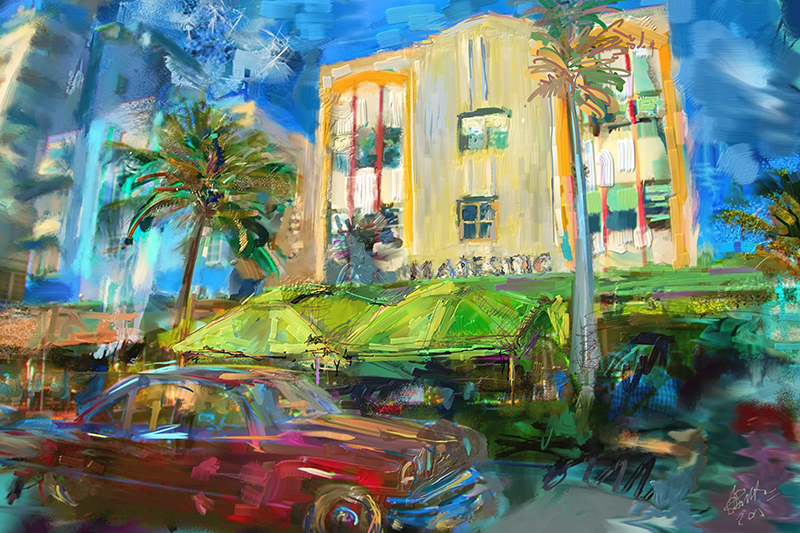 This painting depicts the classic Art Deco Majestic Hotel, 660 Ocean Drive, South Beach, Miami Beach, Florida. Designed in 1940, this Albert Anis creation abandoned horizontal linkage and eyebrows in favor of a mimicry of the pre-deco Vienna Succession style, with recto-linear windows and arched cornices, seemingly straight out of Fritz Lang’s Metropolis. Despite this digression, it maintains a style which looks decidedly Deco. The vehicle outside the hotel is a 1951 Kaiser Deluxe which participated in the Art Deco Festival parade on Ocean Drive outside the hotel. 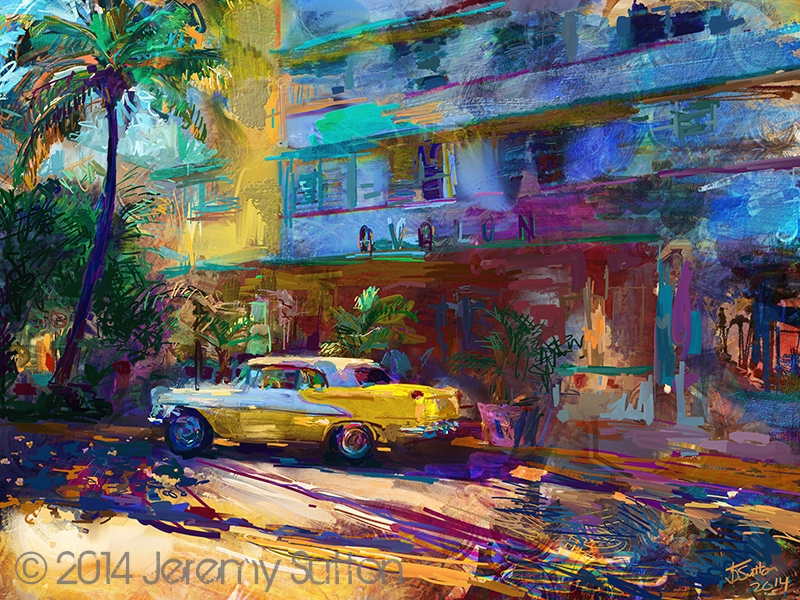 This painting depicts a 1956 Oldsmobile convertible parked outside the classic historic Avalon Hotel at 700 Ocean Beach Drive in South Beach, Miami. The hotel was built in 1941 in the late Art Deco style (in the subcategory of Streamline Moderne) and was designed by architect Albert Anis, renowned for designing many Art Deco buildings in Miami Beach and Chicago.